do you have any bendix red band hubs for sale. Do you fixed them if i have one that stays in slow gear. I have no Bendix for sale. Can somebody assist Julio fixing a red band Bendix? I have 3 new blue band 18 hole, 20 tooth 2 speed overdrive hubs. (never laced or installed, vintage year? I am interested in selling. Also 11 rear hubs, bendis rb2 never laced. , if you have any in nice condition for sale? I am interested in a Bendix kickback rebuild. Did you end up getting help on rebuilding you bendix 2 speed? Yes, I’m good to go on the rebuild, thanks. I am interested in a Bendix hub for a 1950’s Schwinn tandem. I’d like to find out about your bendix kickback rebuild service. Where are you located? Do you sell bendix automatic hubs? If so I would be very interested in purchasing one from you. I rebuild the Bendix to speed hubs myself. I do not have one for sale at this time. Thank you for your communication keep in touch! I have a blue band that doesn’t spin.how much is your labor ?then parts we don’t know. where are you located? Bendix automatic. Red, blue, yellow bands, what’s the difference in the three? Red and yellow had ratios that were low .67:1 and second gear 1:1 I believe. Blue came on Stingrays only I believe and had 1:1 and then overdrive. Red was a disc style brake and yellow and blue were expander brake shoes. That’s a good start. Thanks for your time, Flatsguy. Is it possible to find the brake disc assembly for a Bendix 2 speed kick back redline. 2 of my disk have broken up. hi guys, i’ve been told i can connect a bendix 3 speed shifter to my nexus 3 speed coaster brake hub. is that correct and if so are there any out there ? i’m in Australia. cheers people. do you still have the disk assemblies for red band hubs? THANKS KEVIN . I’LL KEEP THAT IN MIND . I REALLY WOULD LIKE THE MODEL I CAN PUT ON THE FRAME ” SUICIDE ” STYLE .THEY COME IN A BLACK COLOUR AND WERE USED IN THE 60’s .”BETTY” , MY SCHWINN PANTHER WOULD FEEL MUCH SLIMMER AND READY TO GET OUT ON THE DANCE FLOOR !! THANKS AGAIN …ADZEE . does anyone know about a bendix single speed yellow band hub? does it have 3 yellow bands or 1 yellow band ? Have youor anyone u know have any idea idea how many of these were made? Hey Kiven, I have a bendix single speed yellow band! It’s brand new and the only one I have ever seen, what do you know about it? are your 3 band reds usa made? 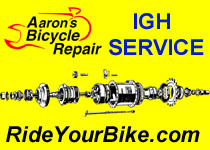 Kevin, I have a red band hub,it shifts and operates grate in both gears, only one exception is in low gear it slips if I stand up to power pedal but while pedaling siting on level ground it works great. What do you figure is wrong, my Wife”s yellow band doesn’t do it, I figure this will only get worse as time goes by. Do you sell the parts it might need? I am looking for the indexing spring for a Bendix Red Band hub. Suggestions where to find ? Any body seen a bendix single speed yellow band? I have an nos one! OK. Please call me to discuss how I order and pay you for a red band indexing spring. Thanks ! Has any body heard of a single speed yellow band? I am looking for some to rebuild a bendix yellow stripe hub. Can anyone suggest someone to send it to?